Business Machines Center first opened its doors in 1971 in Woodland Hills. We started out repairing and selling adding machines and electronic desktop calculators and IBM Selectric typewriters. We kept up with the industry changes from manual typewriters to electronic typewriters to thermal fax machines and printers. We quickly learned computers and inkjet and laser printers to todays current Laptops and Desktop PC’s along with their counter parts, the all-in-one laser printers and inkjet printers. Formerly IBM service technicians we have been innovators in keeping up with the latest computer diagnostics, virus and spyware removal and data backup procedures. We started with DOS to Win3.1 to Windows 95, 98, 2000, ME, XP, Vista, Windows 7, 8, 8.1, and now Windows 10. We also repair Macs. Customer Service is our specialty. You may also talk directly to the technician who will repair your machine. All work is guaranteed. 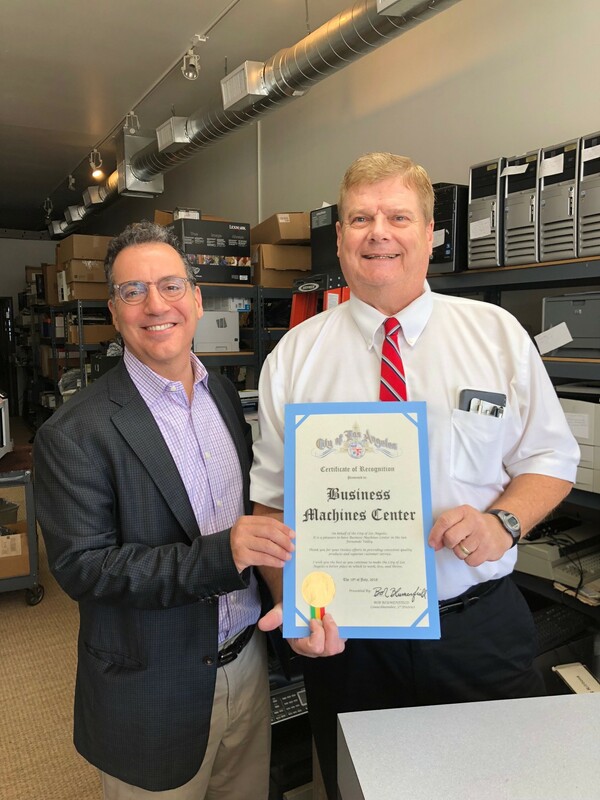 Business Machines Center is proud to still be located in Woodland Hills after more than 47 years, and have been honored by our local Los Angeles City Councilman for our commitment to the community. I started working for IBM in 1976 as one of their Customer Engineers. Trained on dictation equipment and the various models of IBM typewriters, IBM’s Series 1, 2, and 3 copiers led to the ability to learn on the fly. After leaving IBM, I worked for various dealers and have been trained on numerous types of products. 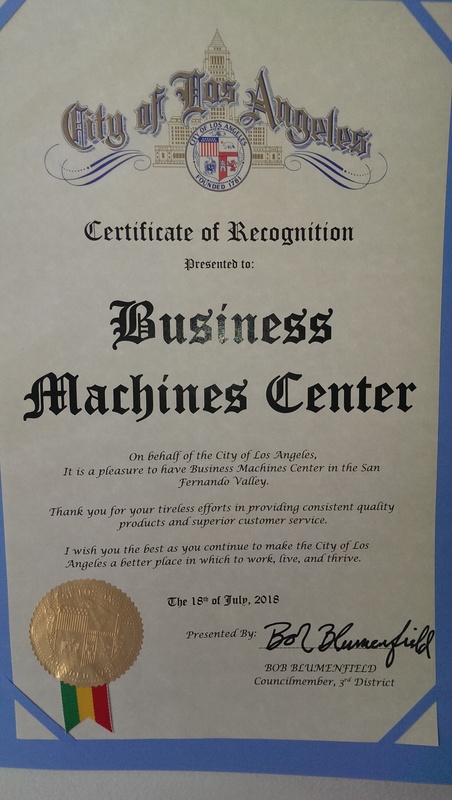 After originally acquiring Business Machines Center in 1984 and then again in 2010, I feel that this community deserves a local center that you can take a machine to and have it serviced for a reasonable and fair price in a timely fashion and feel good about it.